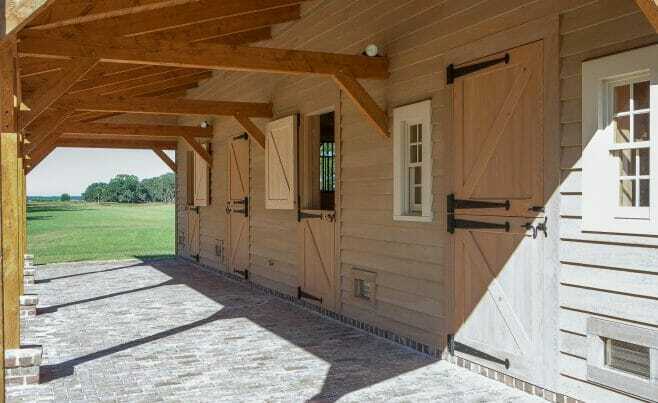 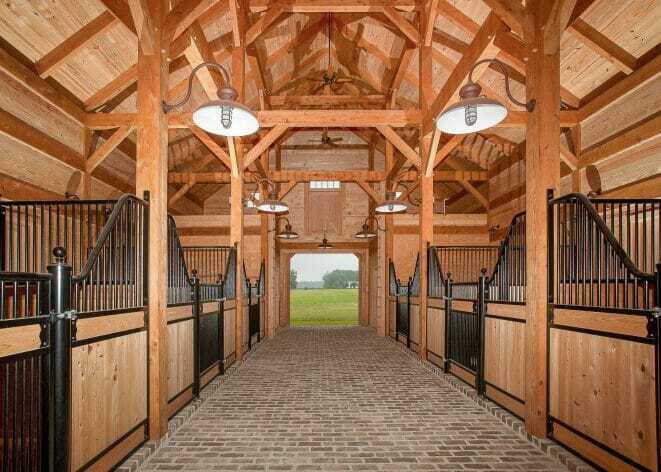 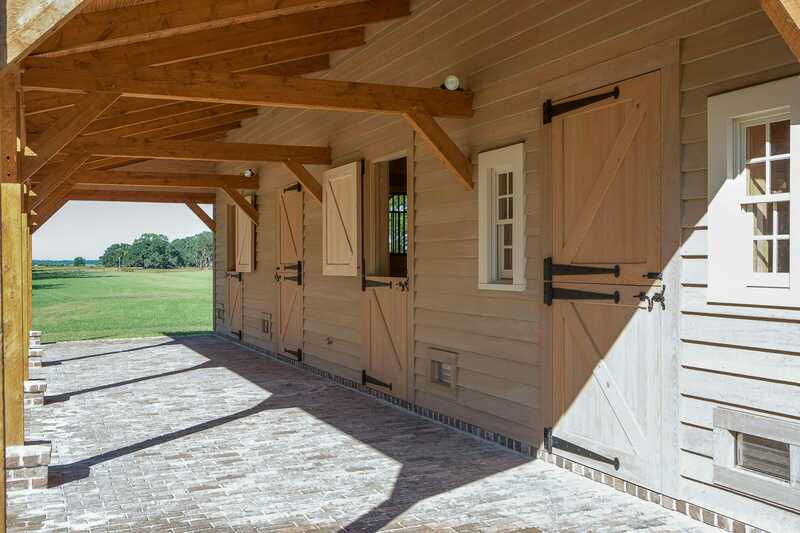 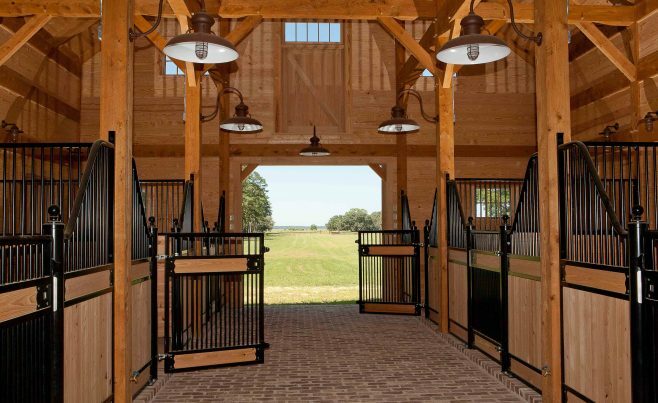 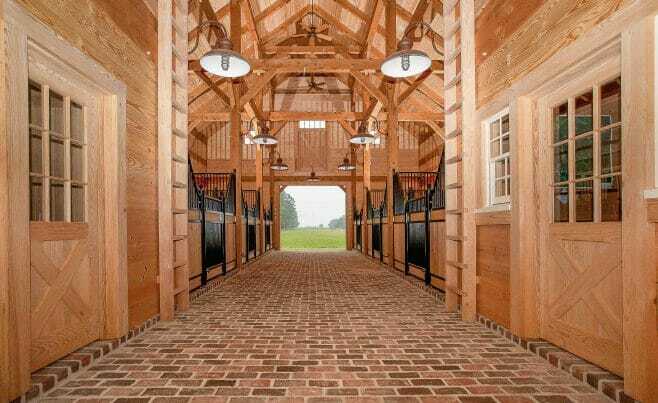 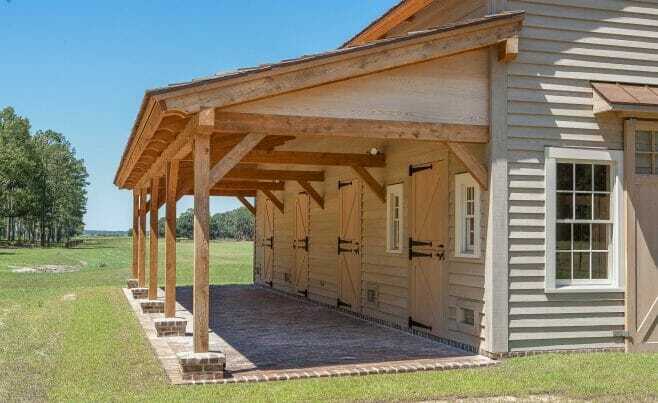 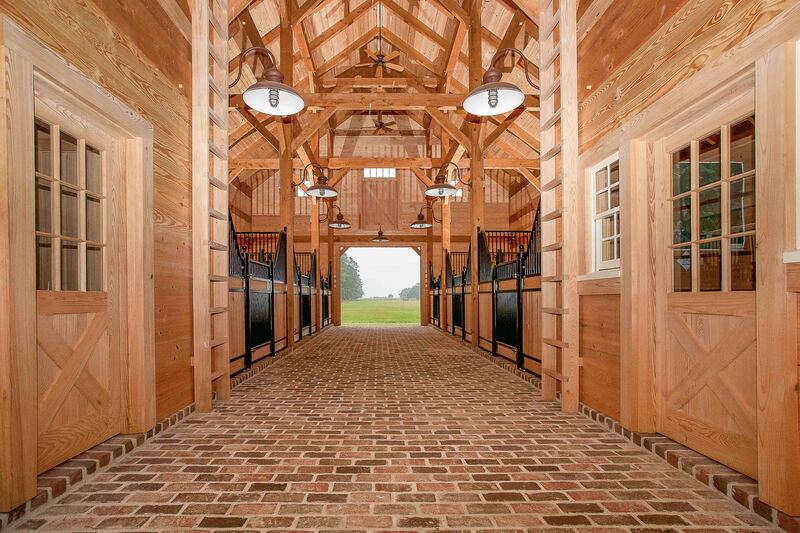 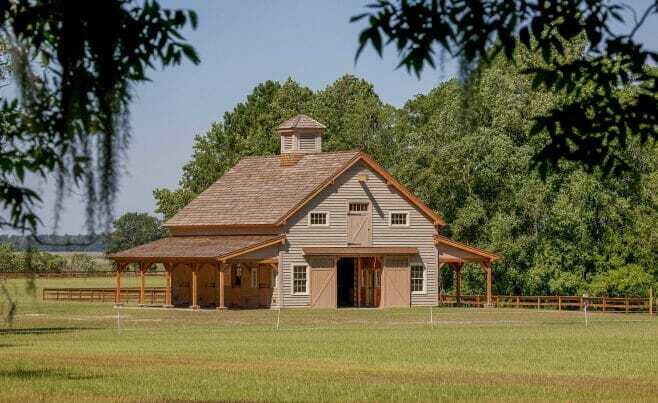 This beautiful horse barn is located in Carolina. 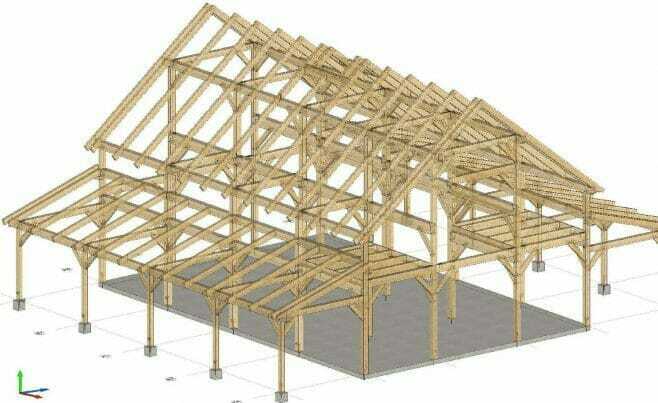 The frame was constructed using rough sawn hemlock timber and traditional joinery. 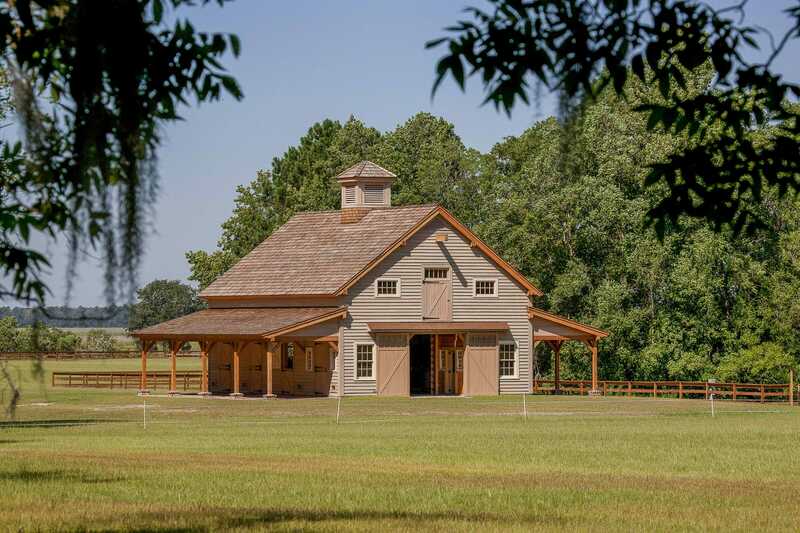 The barn has 12 x 12 horse stalls, covered loafing sheds, a beautiful tall center aisle, and a cupola on the roof. 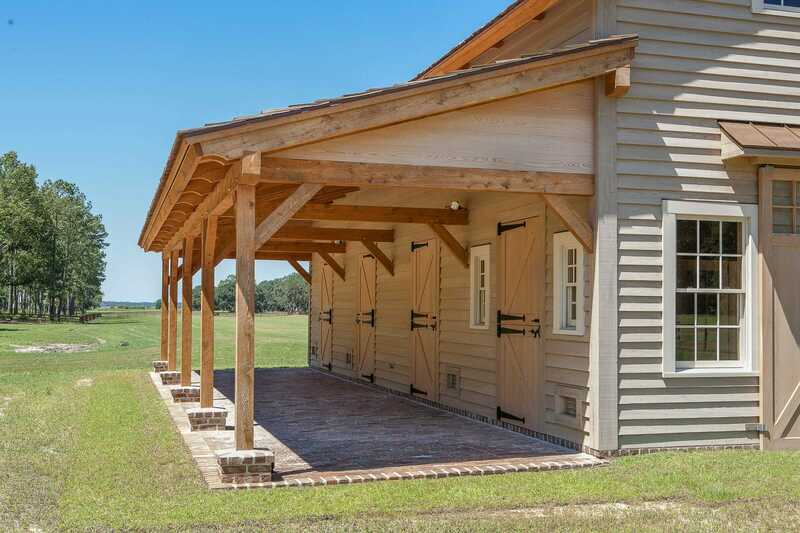 We worked with architect, Eric Smith on this project.